Contact the county probate office where the deceased resided at the time of her death. Give the office clerk the name of the deceased and the date of her death. He may be able to look up the information on his computer to let you know whether or not a will was or is being probated, or administered by the court. In most circumstances, if an estate is found and the file has not been sealed by the court, you should be able to obtain a copy. Check other counties’ probate offices where the deceased may have owned property in the event your earlier search did not locate a probate filing. Generally, if an estate is probated, it will have to be probated in each state where the deceased owned property. 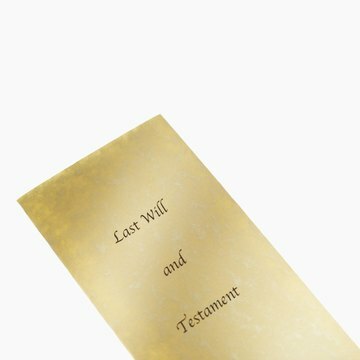 In most circumstances, if you find an estate filing there, you should be able to obtain a copy of the will. Hire an attorney to petition the appropriate court to allow you to access any safe deposit box the deceased may have had, to look for her will if you are her only heir or are confident that you are a named beneficiary under the will. She may have indicated to you prior to her death that she wished for you to act as her personal representative, yet neglected to divulge the location of her will. Your attorney will have to prove to the court that you have made a diligent effort to locate any heirs or additional devisees and notify them of the court proceeding, before entering an order allowing you to access the deceased's personal effects. If you are either a named beneficiary or an heir of a deceased person, you are entitled to an inheritance from the deceased's estate. Beneficiaries are given rights to their inheritance because they are mentioned in the will. Heirs are those entitled to inherit usually because of their familial relationship with the deceased. Beneficiaries and heirs rarely have to request their inheritances from the estate executor, but it is always smart to know exactly what you are supposed to inherit, and how to ask for it if you need to.